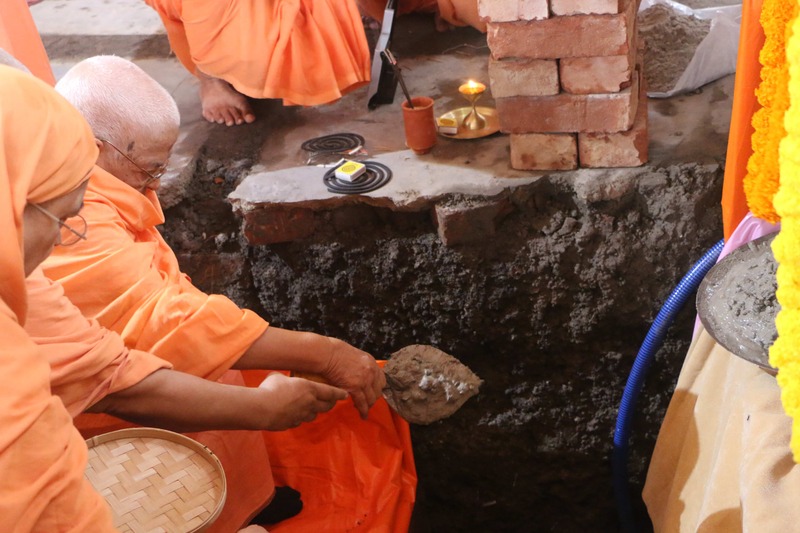 The foundation stone laying ceremony of the proposed Annexe Building of Sri Sarada Math-Rasik Bhita (24/1, R.N. Tagore Road, Dakshineswar, Kolkata-35) was held on 13th March 2019 at the vacant plot behind Rasik Bhita purchased in the month of August 2018. 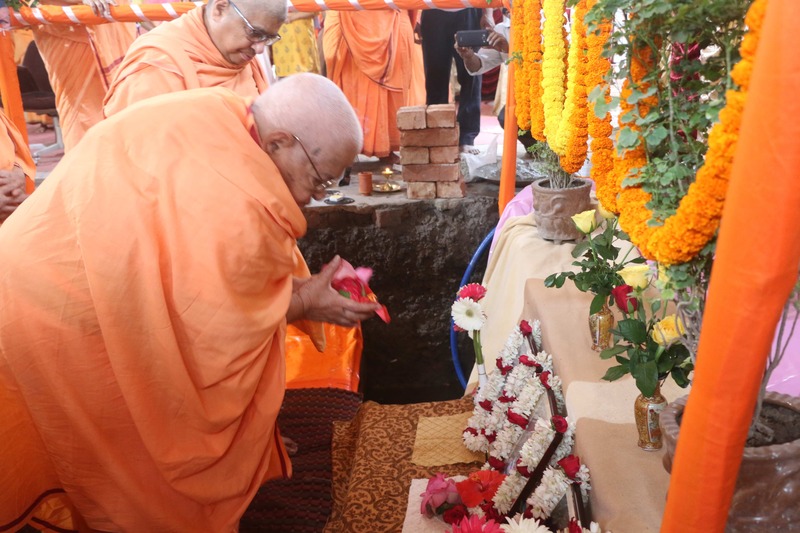 Most Revered Amalaprana Mataji, General Secretary, Sri Sarada Math and Ramakrishna Sarada Mission, laid the foundation stone before 7:25 in the morning. 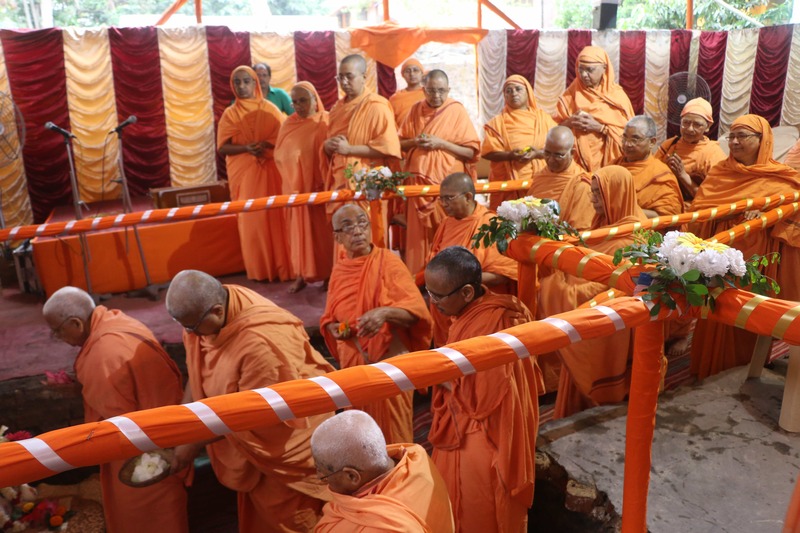 Being the day for the meeting of the Centre Heads at Sri Sarada Math, the various Centre-Heads and senior Sannyasinis could be present at the stone laying ceremony and offered ‘Arghya’ on this holy occasion. 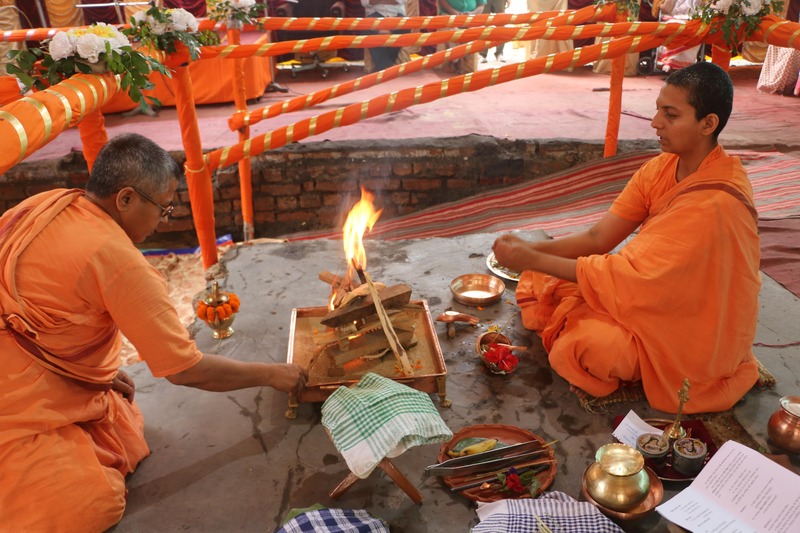 Puja was performed by Pravrajika Atmadeepaprana, a Sannyasini of Sri Sarada Math and this was followed by ‘Homa’. Devotees and well-wishers, students and guardians, teachers and staff of Rasik Bhita, as well as the neighbours, were present to make this auspicious day more meaningful. 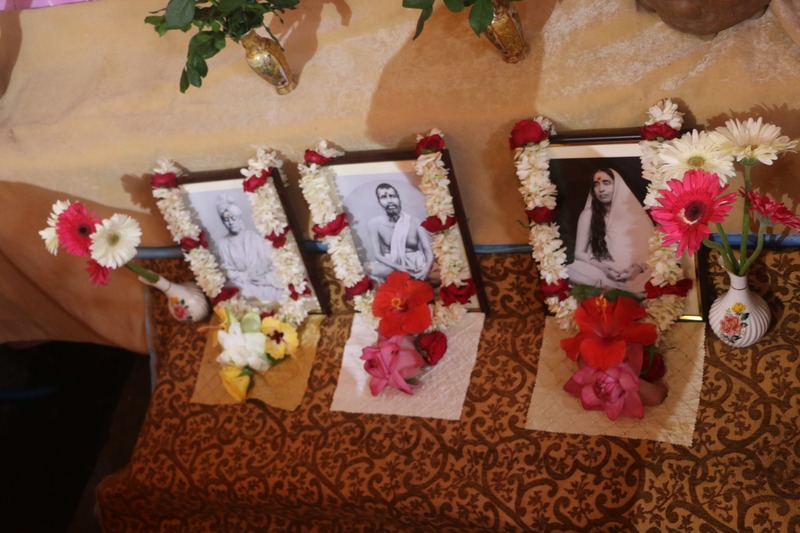 Devotional songs and chanting made the atmosphere appropriately ecstatic. Prasad and Food Packets were distributed among 400 men and women including devotees, students, guardians, staff and neighbours, who were witnesses and part of this auspicious ceremony. 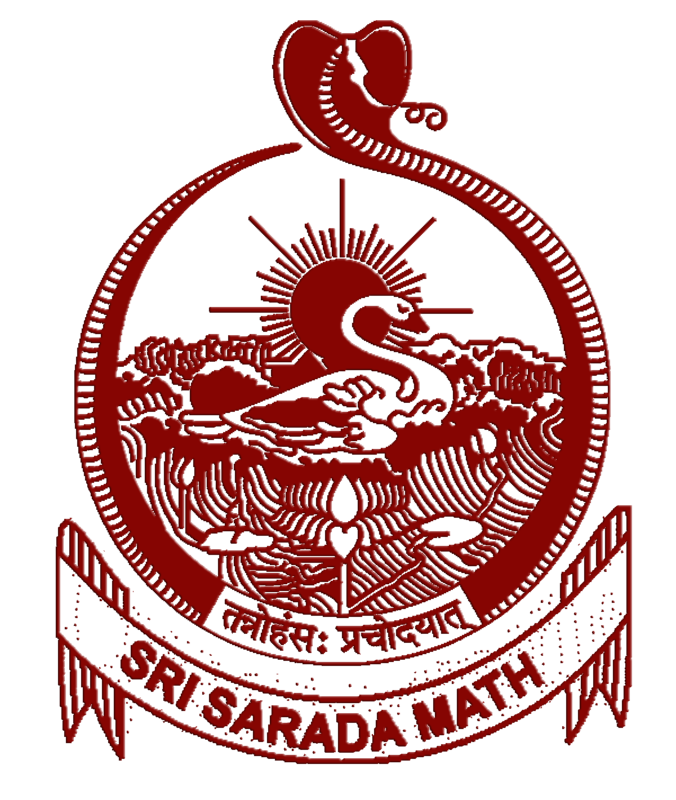 The place is sanctified by the visits of Sri Ramakrishna.This holy place was donated to Sri Sarada Math, Dakshineswar, where the Math authorities started an Educational & Cultural wing, 'Sri Sarada Math - Rasik Bhita' to impart vocational and technical education to the girl students only, with a view to develop their personality combining modernity with tradition. © 2019 Rasik Bhita All Rights Reserved.